22,729 Miles * 1 Owner * Excel Cond * Lightweight Fiberglass Box * Power Tommy Gate * Ez Financing! 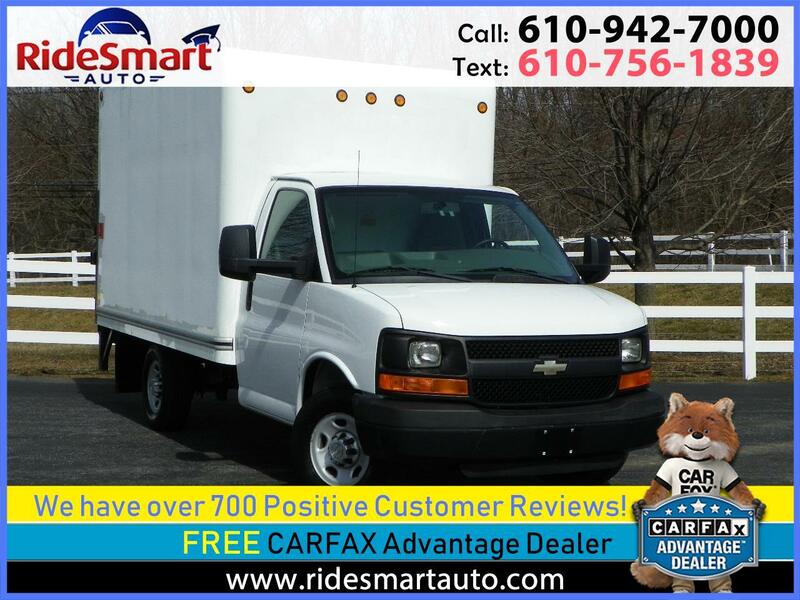 2013 Chevrolet Express Commercial G3500 (1Ton) Cutaway Box Van * 1 Owner/CARFAX Certified * 22,729 Original Miles * Powerful 6.0 L V8 Engine * Lightweight Fiberglass Box * Power Rear Tommy Gate * Spectacular Condition! Easy, Instant Commercial Financing! This 2013 Chevy Express 3500 Box Van Features a light weight Fiberglass Box which makes it lighter, improves fuel economy and makes it easier to drive. This Box Van also has a convenient rear power Tommy gate that makes loading and unloading a breeze! FREE 90 Day/3,000 Mile Powertrain Warranty Minimizes Risk of Ownership. Extended Service Contracts Available For Long Term Security. Warranty Description: FREE..90 Days or 3,000 Limited Powertrain Warranty.